Microsoft released new update rollup for System Center 2012 R2 and Windows Azure Pack. Strongly recommended. See Update Rollup 4 for System Center 2012 R2 Data Protection Manager for more information about these fixes and installation instructions. See Update Rollup 4 for System Center 2012 R2 Operations Manager for more information about these fixes and installation instructions. See Update Rollup 4 for System Center 2012 R2 Service Manager for more information about these fixes and installation instructions. See Update Rollup 4 for System Center 2012 R2 Orchestrator – SPF for details about these fixes and installation instructions. See Update Rollup 4 for System Center 2012 R2 Service Reporting for details about these fixes and installation instructions. 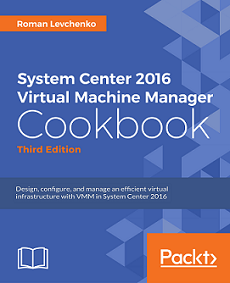 See Update Rollup 4 for System Center 2012 R2 Virtual Machine Manager for more information about these fixes and installation instructions. See Update Rollup 4 for Windows Azure Pack for details about these fixes and installation instructions. See Update Rollup 4 for Windows Azure Pack Web Sites Version 2 for details about these fixes and installation instructions. Important to know for Windows Azure Pack that this update addresses several security fixes, among them is the issue of Microsoft ASP.NET MVC Security Update MS14-059 (KB2990942) breaking Azure Pack PowerShell modules. Ilya, thanks for your comment! very useful information! Previous Previous post: My MVP Award Kit Arrived!